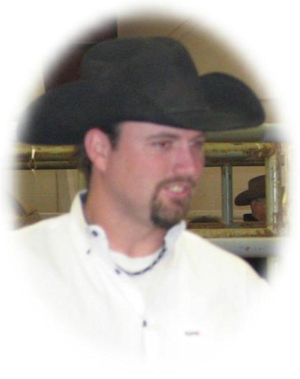 Obituary – Beier, Lee Dewey « Perry High School Alumni Association, Inc.
Lee Dewey Beier, 26, of Perry, Oklahoma was the son of Robert Lee Beier and Terry Gwyn Logsdon. He was born April 22, 1979 at Perry, Oklahoma and died Wednesday, April 27, 2005 of injuries received in a traffic accident northeast of Perry, Oklahoma. Funeral services will be at 10:00 a.m. Saturday, April 30, 2005 at Zion Lutheran Church, east of Perry. Rev. Craig Groseclose will officiate. Interment will be in Grace Hill Cemetery. Services are under the direction of Brown-Dugger Funeral Home of Perry. Memorials may be made to the Shriners Crippled Children Fund. Lee was a truck driver, a farmer-rancher and a big brother. He is survived by his father, Robert Beier, of Perry, Oklahoma; his mother, Terry Love and her husband, Harvey, of Duncan, Oklahoma; one sister, Carrie Beier, of Perry, Oklahoma; a special love in his life, Paula Nehring, and her children, Cody Nehring, Katie Nehring and Morgan Nehring, of Perry, Oklahoma; one step-brother, Chris Love, of Duncan, Oklahoma; one step-sister, Stephanie Love; his paternal grandmother, Cleva Joe Beier, of Perry, Oklahoma; and maternal grandparents, John and Margaret Logsdon, of Fittstown, Oklahoma. His paternal grandfather, Edward Beier, preceded him in death.